Good hotel in Wagholi pune.This is the only reasonable hotel in and around Wagholi area. Nice decent place to stay. Pleasent support staff. Its good.pocket friendly.Loved it. Good food. Each room has balcony that's the great thing. Yashraj inn is located in the nagar road, if anybody coming from far for the admission of their kids, they most probably stay here. Yashraj provides very good rooms, highway view, staff is good not great, may be they are new or they are learning. Staff is little rude, they are not very much professional, But they are trying their level best to recruit good staffs. Food offered bu Yashraj is the best part of hotel, food is great, I love the taste. services are fast, they react fast. 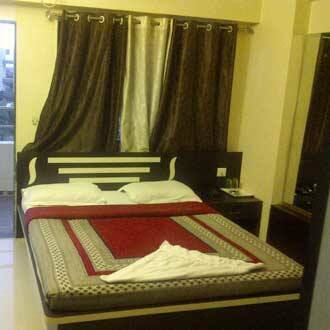 The hotel is situated on Nagar Road having routine facilities. The rooms are clean with nice bed and bath. The service is also good. For eating, restaurant offers good thali as well as ala carte menu options. The rates are also within budget. First of all, do not trust google for locating this hotel, it is absolutely wrong and quite disappointing on 'Cleartrip' part for not verifying the exact location but however the textual address in the itinerary is correct but again who checks that? We. Google. Stuff. It is actually located about 3 kms ahead of the falsely pinned location in G.Maps, I suggest you locate BJS college of arts on Pune Nagar road on the right hand side, adjacent to the hotel is Royal enfield showroom. To make life easy I have added a picture. Ample car parking for about 7-8 cars. There is a lift. I stayed in Non a/c, so cant comment on others. Strictly 12pm-12pm. My room floor was clean, a single window, a tv with all most all important channels but not easy to find in 1000 channels, nice life size mirror, ready to wrap garbage cans. Washroom was average with hesitations to clean the nook and corner of it. Water wasn't that hard as I feared. Bed wasn't regularly vacuumed, cushion was okay. The mosquito killer coil was available. If there is one thing I didn't like about the room, it's the lighting, all yellow cheap bulbs. No night lamp. Four sockets available, but only two bulbs were there. They have two pure veg multicuisine restaurants (abhiruchi garden) - one indoor and another outdoor, pics attached. Hygienic, waiters were excellent, food was fresh and yummy (in fact i wanted to give 4 star because of the restaurants but the room needs regular care) even though their coffee was terrible. Floor supervisor took real care of everone. There is a mini play area for the kids (see pic). Room service available. No wifi. The bus stop is right outside the hotel. To and from the railway station take any of these routes: 159, 159K, 159P, 14. (single direct bus Rs. 20/- ; 25mins). Since the hotel is in the outskirts of the city, there isn't much noise pollution even though it is on a main road. actually i am a localite so never need to have a chance to stay in the hotel,but have heard that most business people stay there.thank you.